Indian telecom company Bharti Airtel has partnered with HMD Global. Under this partnership, Nokia 2 will be sold at an effective cost of Rs 4,999. The company has presented it under my first smartphone scheme. Earlier, many budget 4G smartphones have been launched. Nokia 2 and Nokia 3 are both 4G smartphones, and Airtel is giving the cashback of Rs 2,000. 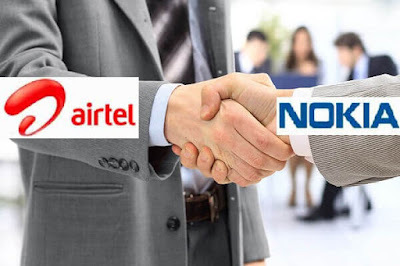 Both these smartphones will get Airtel's plans. The plan starts at Rs 169 and under this plan, 1GB 4G data will be provided every day, and local STD Unlimited Calling will also be given. It is worth noting that the actual price of Nokia 2 is Rs 6,999 and it will get cashback of Rs 2,000. Hence its effective price is Rs 4,999. Nokia 3 will get you with an effective price of Rs 7,499. According to Airtel, Rs 2,000 cashback customers will be given in two installments. For this, customers will need to recharge Rs 3,500 for 18 months. For the second 18 months, you will also have to recharge Rs. 3500. If you do this, you will get a cashback of Rs. 1500 for the second time. Interestingly, the Nokia 2 and Nokia 3 smartphones are also available as part of the Jio Football offer which provides cashback of up to Rs. 2,200 spread across 44 discount vouchers of Rs. 50 each. The Nokia 2 with dual sim support has a 5-inch LTPS HD (720x1280 pixels) display. Customers will be able to buy it in three color options - Copper Black, Pure Black, and Powder White. It has a 1.3GHz Qualcomm Snapdragon 212 processor. Nokia 2 has 1GB RAM and 8GB of internal memory, which can be increased to 128GB with the help of cards. This smartphone will run Android 7.1 Nougat out of the box. Also, it will be updated soon. It comes with 8MP primary camera and 5MP front camera. A 4100mAh non-removable battery powers it. The Nokia 3 with dual sim support has a 5-inch IPS HD (720x1280 pixels) display. This smartphone will run Android 7.1 Nougat out of the box. A 2630mAh battery backs it. The smartphone sports an 8MP Primary camera, and on the front, it packs an 8MP selfie camera. A Quad-core 1.3Ghz MTK 6737 processor powers the device. It comes with a 2GB RAM and 16 GB storage, MicroSD slot support for up to 128GB.